I’m not very big on video game news, and when I am, I’m not looking at what various indie studios are doing. So I didn’t know about the existence of INSIDE until I saw it for sale on steam yesterday. But after I saw a single screenshot and read that it was from the studio that made LIMBO, that was all I needed to feel completely confident about dropping 20 bucks and buying it right away. And keep in mind, I’m one to be extremely timid about spending 8 dollars on a game! But when it comes to the potential quality of a game, there’s no safer bet than this. 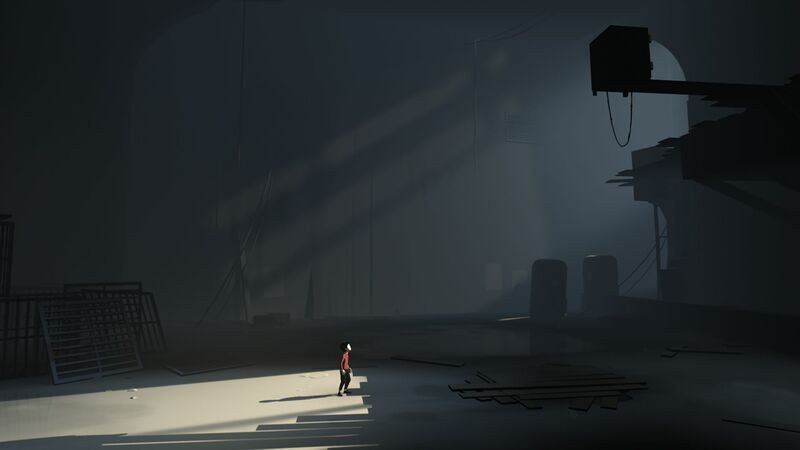 Playdead studios’ INSIDE came out just a few days ago. Having not heard of it beforehand, yet buying it immediately, its as if this just dropped into my life out of nowhere; a pleasant surprise. But, a short-lived surprise. You should be aware this is a short game, and I was a bit sad at how quick the end came. I would expect the studio’s follow-up project to be a whole lot denser (especially considering the success level of LIMBO). The fact is, it was a whole lot denser, just not in length. It’s about the same length as LIMBO, I think; I beat it in around 3 hours. On the spectrum of any tripleA game, this would have been a big dissatisfaction. Games like Uncharted 4, from the prosperous studio Naughty Dog, have taught me to expect a full meal when it comes to campaigns. But don’t let this deter you from playing this game. As brief as it was, it delivered so many memorable moments; a few that I will never ever forget. Fans of LIMBO will enjoy this. It’s got a lot of the same qualities. It’s got a deep, rich ambient score. It’s got amazing atmosphere. It’s got incredibly innovative implementation of platforming. It’s got an overall outstanding visual presentation — one that you will want a big tv for. It’s got as little words as possible (there’s no speech in the whole experience, and the only text is in the menu). It’s got simple, satisfying puzzles. And it’s got an almost-too-vague-yet-somehow-just-right narrative. But to call this one as good as LIMBO would be incorrect, I honestly believe. INSIDE exceeds its predecessor’s quality in almost every department. The sound design and mixing, the lighting, the environment design, the freaking animations! On more than five occasions I spoke aloud — to myself — about my impressions of the animations. The way INSIDE’s living things interact with objects and their setting is beautiful. And the camera angles and environment geometry often pull off stunts to deny it’s 2D basis; there were many times I tried to press “up” to recede into space, because it just doesn’t feel like a platformer at all! The story as well, is much more… “sticky” than LIMBO’s. Once again, we find the character in a world where who knows what can happen, but this time, its connection to reality is stronger; thus the weird things are all the weirder. It’s a very compelling narrative executed with the tact of a Cannes Best Direction winner, even if it leaves certain explanations to be desired. The color, finally, is maybe the biggest difference between this and LIMBO. Though there’s not much color in use, the subtle touches were just right to make the environment feel more dynamic and moody than LIMBO’s ever could have. The one area I think LIMBO has it topped is in the puzzles. LIMBO had some great, challenging puzzles and ended up feeling primarily like a puzzle game. INSIDE’s puzzles are just there. But that’s alright, because INSIDE was more about the narrative and the sensory experience than the puzzles. Which is what I prefer anyway. 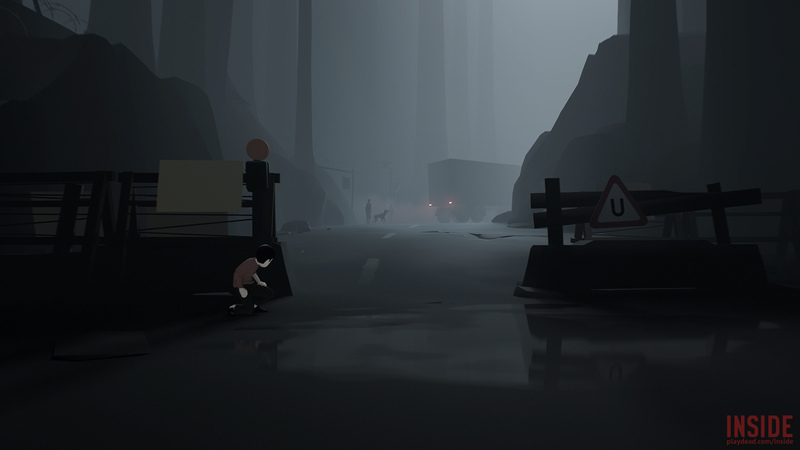 And that trial-and-error method of puzzles that LIMBO introduced is kind of present in INSIDE as well, but not as noticeably. It seems like Playdead wanted to include that as their signature feature. Like I said, I feel the end came a bit too fast. But I don’t feel that way because of the level I expect the studio to be at… I feel that way because of the visible effort that was put into the ideas of the 3 hours. To put it simply, INSIDE has way too many good ideas to only exist in a short game. LIMBO felt like the right length because it was so simple; it was physics puzzles and black and white ledges, that’s it. INSIDE is way more than that, and I can’t believe they would put all this amazing work into these things just to showcase them for a second. I don’t want to talk about the specific ideas I’m talking about, because I don’t want to spoil anything. But I almost want an expansion of this or something just to experience more of its awesome design. It’s kind of immature to criticize a great game for not having more greatness. I did just finish it an hour ago, so maybe my feelings of passion will settle. I’m not sure what I will end up rating this; I will take some time to think about it. But what’s for sure is I COULDN’T BE MORE IMPRESSED with what Playdead has done here. It’s a simply amazing work of art. Definitely do check it out!